American artist Larry Kagan is sure: shadow can tell more about life than anything else. There is a good reason why psychologists say that we become perfectly honest with ourselves when we take off all social masks and stay face to face with own shadows. The artist decided to raise this principle to the level of perfect clarity. Later in the days Kumi Yamashita experimented a lot before she arrived at her own style. She wanted to show how she saw people. Sketch came after photography to be followed by the game of the light and shadows... It was to standard. Whishing to attract attention, the artist positioned nails on a light wooden plank to serve as some sort of "joints" or pegs. Black threads would tie the picture together to shape an image. Explaining her philosophy,Kumi Yamashita says, that a human being is born from nowhere and passes to emptiness after a while. Shadows emphasize the tide of life better than anything else. A Thouht Once Uttered is Untrue... Or Is It? Fred Eerdekens entered the world of modern art with a philosophy of his own. Words, imprinted in shadows, are a part of the discussion on where is humankind going and whether it is possible to regain the lost purpose. The word became the symbol: humans are lost in the wilderness of own mind and their language has lost contact with feelings a long time ago. What is more important: manner or matter, meaning of the word or the notion itself? Eerdekens attempts to solve this dilemma in his art... Each will arrive at own answer, important is not to be affraid to ask questions. 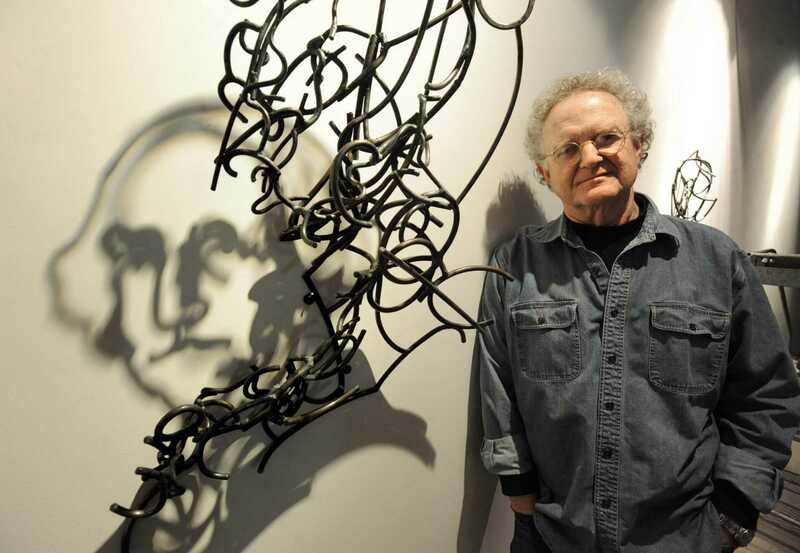 Artists Tim Noble and Sue Webster know the laws that art obides way to good to follow them. Their installations are an acquired taste. Devotees of traditional constants in the art will be outraged. Yes, they will, all right, because Tim Noble and Sue Webster use a weird material to ceate their shadow images. Another enthusiast of minimalism in art is Paul Pacotto. The artist paints female bodies on the walls by propping objects the against the wall and setting the lighting. This is what he says about philosophy in his art: we often pass judgement on things upon as much as a cursory glance without trying to look deeper. As if we are affraid that the inside will differ much from the wrapping. The essence of the art of the shadows is: when a man gets rid of hackneyed perception of reality, he suddenly finds himself in a world of amazing surprises where extraordinary things await on every step.